Chef P aul Mattison, executive chef and proprietor of Mattison’s, operates a successful culinary group on Florida’s Gulf Coast. Located in Sarasota, each Mattison’s restaurant location is unique to its neighborhood, offering Chef Paul Mattison’s signature menu items, outstanding service, and quality ingredients, while supporting the community, regional farmers, and culinary suppliers. Mattison’s Catering is a chef-owned and operated company procuring fresh, natural, and local ingredients. Catering In-house and off-site, Mattison’s Catering Company offers certified wedding and event planners, experienced professionals, and custom menus. Chef Paul Mattison grew up in New York, cooking and gardening side by side with his Italian grandmother, Esther. He began his culinary career at age 15 in a local Greek restaurant and was encouraged by the restaurant’s owner to attend the Culinary Institute of America (CIA). Upon graduating with honors from CIA, Chef Paul Mattison went to Aspen where he would refine his skills over the next five years working at Piñons, a one-of-a-kind receiving top kudos from Zagat. In 1991, Chef Paul Mattison relocated to Sarasota, Florida as the executive chef and proprietor of the Summerhouse Restaurant on Siesta Key, which quickly became a local treasure and institution, establishing Chef Paul Mattison as a celebrated local chef. In September 2001, Chef Paul Mattison and Jason Sango created the Mattison’s concept whichincludes: Mattison’s Catering Company, a full service in-house and off-site catering company; Mattison’s City Grille, an award-winning al fresco restaurant in downtown Sarasota; Mattison’s Forty-One, a highly acclaimed local restaurant boasting comfortable elegance in South Sarasota; Mattison’s Bayside at the Van Wezel, the official in-house caterer at the waterfront Van Wezel Performing Arts Hall offering pre-show dining and events; Mattison’s Grille on the Green, a casual indoor and outdoor cafe that celebrates Sarasota’s old Florida charm; and Mattison’s Culinary Adventure Travel, a personalized tour operator offering an irreplaceable hands-on culinary experience filled with history, culture, tradition and of course amazing meals. 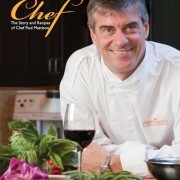 The cookbook CHEF: The Story and Recipes of Chef Paul Mattison, released in 2014, generated rave reviews locally and nationally during book signings from Floridato California. Chef Paul Mattison was invited to participate in the prestigious American Harvest Workshop in Napa Valley, California hosted by Cakebread Cellars, as one of five Chefs in the nation selected to attend this annual event. In January 2016, Chef Paul Mattison was a guest speaker in a joint discussion and presentation with scientists from NASA discussing the connection with the International Space Station’s Veggies in Space program and working with local Pine View students showcasing a school garden Chef Paul Mattison helped to created replicating the NASA program. This educational event generated media attention locally and regionally. Mat tison’s has received numerous awards over the years including consistently winning Sarasota Magazine and the Sarasota Herald-Tribune’s Best Chef award. Mattison’s was awarded Florida Trend’s Golden Spoon Brand Award, one of Florida’s most prestigious culinary accolades. Other awards include the SRQ Magazine’s Hot List, Creative Loafing’s Editor’s Choice Award, Bradenton Herald’s Readers’ Choice Awards, and many others. Also known for his community-based efforts, Chef Paul Mattison received several national service awards. 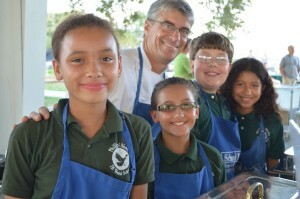 He gives culinary classes and demonstrations for charity organizations like the Boys and Girls Club, Girls Inc., Sarasota County, and Selby Gardens. Chef Paul Mattison serves on the Advisory Board for Kaiser College and Sarasota County Technical Institute’s Culinary Arts Program, and Sarasota’s Downtown Farmers’ Market. He also serves on the Board of Director for All Faiths Food Bank and Florida Winefest & Auction. Giving back to the community is a priority for Chef Paul Mattison and his generosity is well known throughout the community. Chef Paul Mattison can be seen regularly ABC’s Channel 7 hosting live cooking segments on The View and on My Suncoast Dining with Chef Judi. As the national spokes person for Cuisinart Appliances and Cookware, and he has appeared on national television on the Home Shopping Network and Access Hollywood. 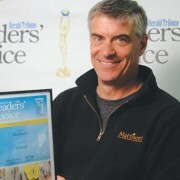 The Emmy®-winning national television show, A Gulf Coast Journal with Jack Perkins filmed two segments on Chef Paul Mattison, the first one aired on PBS in 2006 and the second in October 2010.